Members of the Commission “Justitia et pax” of the Bishop’s conference (BK) BiH gathered on 6th of May 2017. in the center of the Banja Luka’s Diocese to celebrate the 20th anniversary of the establishment of the Commission. The members of the same commissions of the Croatian and Slovenian Bishops’ Conferences (HBK and SŠK) joined them. A special guest also attended the “jubilee” session: Cardinal Peter Turkson, longtime President of the Pontifical Council “Justitia et pax”, and now president of the Dicastery for Promoting Integral Human Development, the newly appointed body of the Holy See. • Maintain special relations with the Pontifical Council „Justitia et pax“, that is with the Dicastery for Promoting Integral Human Development. Since its beginning, the Commission is a member of the Conference of European Commissions „Justitia et pax“. I. The bishops of Bosnia and Herzegovina, even before the founding of the Commission “Justitita et pax” – in the spirit of the Gospel and the social sciences of the Catholic Church, consistent with the Church’s attitudes regarding war and peace many times – together and individually – appealed and urged that the war should not start, to stop the imposed war and to establish just and lasting peace for all the citizens of Bosnia and Herzegovina. They have always been committed to the fundamental human and civil rights and liberties of all nations and faiths. They raised their voices firmly against all sorts of war and post war crimes and violence – that was done to people not minding if the people were Catholics or non-Catholics. Bishops, during the war (1992-1995) in their numerous appeals to domestic and international politicians, made it clear that they did not agree to any alteration of the boundaries of their dioceses nor to the disappearance from these territories of mostly Croat people and the Catholic Church, that has always been and stayed for centuries the most loyal parent and patron”. They continued to do so after the war as well. “We are deeply saddened by the unacceptable oversight of the International Political Community, which showed an incomprehensible concession to aggression and „force of strength“, and indifference to the people suffering from unequal injustices, violence, demolitions and slaughter… We are astonished and wondering whether political interests and prestige are more endlessly important than humans, people and nations who are without any guilt being put in front of genocidal extermination after so many centuries of their national survival, religious practice of “cultural openness to all in this region”? 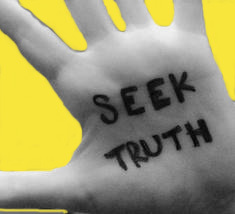 Also during the next 10-12 years, the bishops of BK BiH in their numerous public performances critically but cautiously warned of imposing and controlled chaos in the unfairly organized, dysfunctional and overwhelming state creation, where it was not possible to secure or assure needed progress and a safer future for all nations and citizens of BIH. To such a consistent and principled attitude, they were obliged by the guiding words of Pope St. John Paul II, said in Sarajevo on April 13th 1997, by which they are as bishops “obliged to warn against violence, to put an end to injustice, to address evil by its proper name and with all legitimate means defend their communities”. II. In the spirit of clear and consistent warnings and allegations by Bishops of BK BiH of numerous shortcomings in the basic arrangements of the state of BiH and the selectivity and inconsistencies in the implementation of the Dayton Peace Agreement during the period of more than twenty years, the Commission “Justitia et pax” of the same Bishops’ Conference also spoke up. • continuously pointing out that one of the main sources of disempowerment of citizens and nations in BiH is undemocratic, irrational and dysfunctional organization of the multiethnic state of BiH, which is all the bitter fruit of the unethical solutions imposed by the Dayton Peace Agreement. The Commission has repeatedly in their annual reports pointed out that Annex 4 of the Dayton Peace Agreement as the Constitution of BiH was not legitimate because its signatories were not democratically elected by the citizens of BiH and its constitutive nations. It is not legitimate considering that as an international agreement it has never been ratified in the Assembly of BiH or endorsed by the Presidency of Bosnia and Herzegovina. The Commission has repeatedly pointed out to the fact that the said Agreement stopped blood spills but did not bring justice and righteousness to all the people of the country, but a permanent political conflict between domestic parties and politicians. This conflict that makes the state of BiH more and more unstable and non-perspective, is threatening indirectly the neighboring countries as well. In recent years, the Commission has repeatedly warned in its repeated statements for public which addressed all responsible domestic and international officials in an increasingly dramatic situation – of the deconstructed domicile Croatian people. Nowadays (22 years after the war) according to church statistics, the Croatian people are, in the whole country, more than 45% of its pre-war number gone. In almost half of the country – in the RS entity – due to thorough ethnic cleansing and disabling the sustainable return of the exiled Catholic population, more than 90% never returned. Over the past years, the Commission has often called for the consistent and strict application of Annex 7 of the Dayton Peace Agreement to create all refugees and displaced persons the conditions for a safe and sustainable return. It is generally known that in all previous donor and rebuilding actions the least aid was given to the Croatians (3%! ), especially Croats in the RS area, where the results of their sustainable return are devastating. We have stressed that without sustainable return, of the refugees who are still willing to return, the justice will not be satisfied and the reconciliation between people will not be made. The war, which exiled hundreds of thousands of our fellow citizens from their homes, destroyed their lives and properties, was a country or countries project. Therefore, the restoration of a house, the return, the creation of conditions for normal life should also be the project of a country or countries. Therefore, the Commission considered and still considers that nobody, in the name of any of their goals, has the right to declare the return of refugees and displaced persons completed until Annex 7 of the Dayton Peace Agreement is implemented and until the exiled Croats – Catholics do not receive the same conditions as the others for their sustainable return. Apart from the painful and dramatic fact of the physical extermination of the domestic Croat – Catholic people, the Commission has repeatedly warned officials and the general public also of completely erasing of their cultural, ethnic and political identifications and terminology – from deleting them in their home offices to changing street’s names, suppressing cultural societies and religious institutions. They also warned of the fatal disregard of a large number of Croat’s representatives in the legislative and executive authorities on the level of the entire country, and in particular of the RS entity, for the survival of the Croat people in their own homeland and for the necessary financial assistance to the few Croat Catholics who, even with many problems, managed to stay in their hometowns, or they were, with great obstacles, able to return, where they had been forced out from. With such behavior, these political representatives of the Croatian people agreed to legalize the violent persecution and extermination of the people in the great part of Bosnia and Herzegovina, and this way the definitive disappearance of the Catholic Church in those areas. 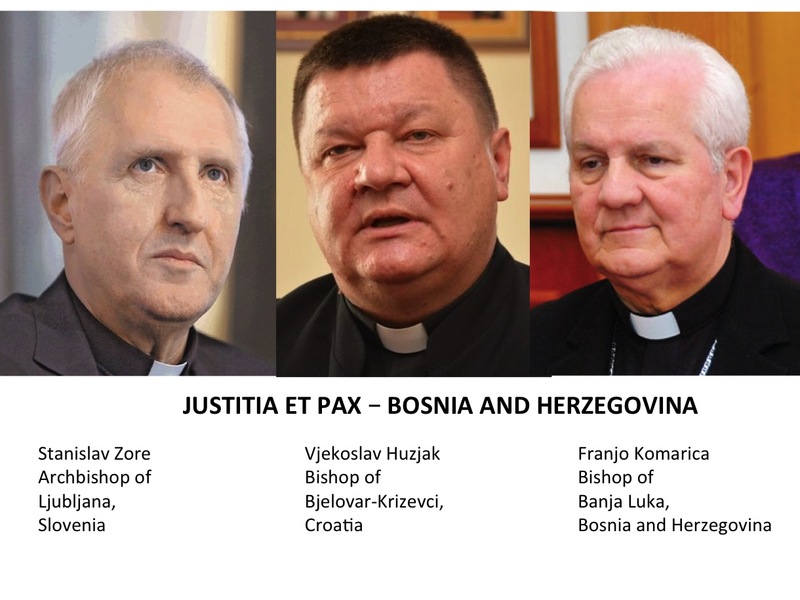 The Commission repeated the words of the Bishops of Bosnia and Herzegovina and the Bishops of the Republic of Croatia from 1993, with which they jointly stressed that they cannot “reconcile with any political solution to the future of the wounded country (BiH), which would lawfully allow destruction of more than half of the members and the properties of the Catholic Church and the Croatian people in the Republic of BiH. This would virtually extinguish two Catholic dioceses in Europe”. The Commission encouraged all responsible authorities to be more determent and jointly agree on the organization of the country with the guarantee of all basic and civil rights and freedoms, personal and collective in all parts of the country. They warned that partial and short-term solutions of the country’s regulation would continue to create new injustices and not only question the further survival of the state of BiH, but also of the domicile people in some of its current parts. III. The Catholic Church in these parts, in the past and present, fearlessly and consistently defended man’s dignity, his religion and fundamental human rights. The public knows that in such Bosnian-Herzegovinian relations, domicile Croats and Catholics do not have the same opportunities to participate in public information that prevents the creation of a true public image of the situation and problems of Croatians and Catholics in BiH. 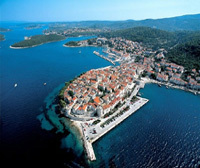 It is commonly shown in the public that everyone else in the country has more problems than Croats. When it is reported of problems of Croats and Catholics, it is done in a sensationalist and non-objective way, which makes perception of Croats misleading, they are seen as the burden of Bosnia and Herzegovina and as a disturbance factor in it. This time again we repeat our moral judgement – on which we have the right – as Christians and as citizens – that to all citizens of ours for far too long crushed country – and thus the local Catholics must have the right to build their future, just like in every other modern European prosper and functional legalized country, which has been disrupted during all the years after the war. This time again the Commission repeats the bitter and dramatic fact that Catholics in BiH today are physically the most vulnerable part of the Catholic Church on the entire European continent. We are witnessing the continuation – even increase of the uncertainty of the physical survival of the Catholic Church in Bosnia and Herzegovina, despite the tirelessly efforts of the Church’s leadership that in this politically and legally disordered country becomes a truly needed fair and lasting peace factor. The Commission warns again that in BiH unjust legalization of crimes committed in the 1992-1995 war continues, as well as political turmoil, conflict and general social insecurity, making the return of displaced persons unable, preventing employment, especially among many young people, increasing the instability of numerous families, and affective and social separation of the whole communities. The Commission yet again encourages all those responsible to step up their approach to rooted constitutional changes of the entire BiH society principled on federalism, decentralization, subsidiarity and legitimate representation of its constitutive people and national minorities. The Commission calls on the international community representatives in BiH to provide more effective political, legal and material aid for the establishment of real equality across the country among members of the three constitutive people – Bosniaks, Serbs and Croats. The Commission joins this time again to all those who are struggling to make the final adaptation of the Constitution – one for the whole country – instead of the current four different ones. IV. Bosnia and Herzegovina, as the „semi protected issue“ of the International Community, that same International Community –has unfortunately left it throughout all the post war years to be a „place of insecurity“ instead of a peace zone. Every human being, and especially a politician, is certainly clear that maintenance of such a „controlled chaos“ in BiH is a latent danger not only for a stable peace in this part of Europe but also for world peace. Therefore the „Report“ from the Europen Parliament from February 15th 2017., which expresses more willingness to more effectively assist the state of BiH in the process of stabilization and joining with European structures than in previous years is welcomed and supported. The „Justitia et pax“ Commission of BK BiH, together with the Croatian BK Commission and the Slovenian BK Commission, expresses gratitude to European politicians, especially from Croatia and Slovenia, for their valuable contribution to the preparation and adoption of this document of international character, based on which we hope – will be ultimately more efficient to work on regulating BiH as a legal, safe and prosperous country for all its citizens, ethnic and religious communities, and especially the disenfranchised Catholic population in it. We are grateful, especially to the Holy Father and to the Holy See for all the valuable care and support for the life and the work of the Catholic Church in this country – in particular its shepherds – for truth, justice, equality, forgiveness, reconciliation and just Peace for all citizens of Bosnia and Herzegovina.